Another super quick round up for you! I've been doing some more YouTube videos. 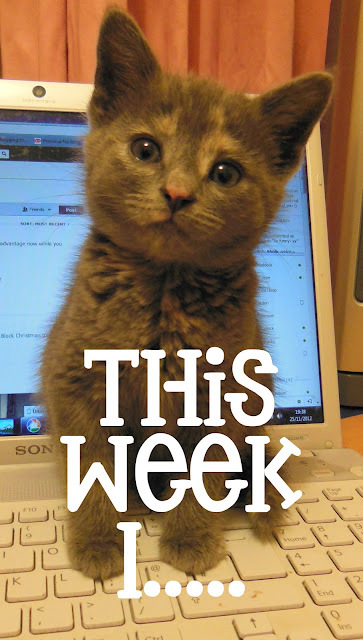 You can find a round up of the week HERE as well as an interview with Baby Crumpet lol. Don't forget to subscribe to my channel as I upload more than I tell you about! Thrilled with my UberMat, not so thrilled with Born Pretty Stamping plates. It was Digital Dozen week - the theme was food, and on Friday I so went there with my interpretation of "condiments". That's right, real ketchup on my nails! It's my birthday soon, so I have been buying myself some pressies. Lollipop Posse, Top Shelf Lacquer, a few more Grace-fulls ... all on the way :) Squeeeee! Oh and I have a new blog planner AND I've been launching the new Crumpets Nail Tarts Challenge. Phew, I've been a bit busy!